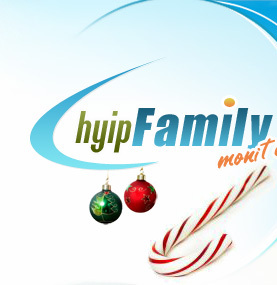 Hyip Family is a listing of High Yeld Invested Programs. You can only allowed to have one account at our system. After registration you must activate monitoring to your account. We have the right to add new rules even after now and all members should follow our rules. You will get benefits by using our client section, we warmly accept new offers.